Beautiful Home perched hillside above Lake Winnipesaukee, enjoy access to the community pool and tennis courts within the gated community. Sleeps 10 comfortably, with two extra guests on sleeper sofa. Charming waterfront cottage on Lake Winnepesauke! You will be delighted with this lovely vintage cottage located in Cummings Cove--captivating sunrise, breathtaking views and long summer days swimming in the pristine waters of Cummings Cove! Feel yourself instantly relax when you walk into this 2 bedroom, 2 bath condo unit at Meredith Moorings. You will find yourself surrounded by the Beautiful views of Lake Winnipesaukee. 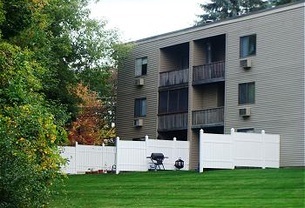 Village at Winnipesaukee condo conveniently located on 2nd floor!!! Enjoy all the activities of the historic Weirs Beach area and beyond from this 2 bedroom, 2 bathroom unit. Sleeps four comfortably but will allow up to a total of 6!! 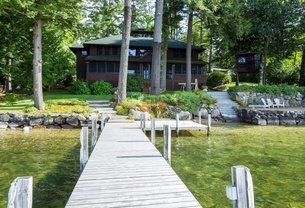 Take in the views of the turquoise waters of Lake Winnepesaukee in this 4 bedroom, 3 bathroom cape-style home. Sleeps 10! Lakefront property like this is RARE! You won't want to leave this grand Lake Winnipesaukee home with over 6,000sf of living space sprawling throughout 3 structures. So many amenities to satisfy multiple family members on vacation! Conveniently located beach access condo at the Village of Winnipesaukee. Enjoy all the activities of the Weirs Beach area and beyond from this 2 bedroom, 2 bathroom unit. Relax by the fantastic community pool or Weirs Beach. Welcome to this wonderful waterfront, antique estate property with 5 bedrooms in the main house and 2 bedrooms in each of the three cottages for a total of 11 bedrooms that comfortably sleeps 21 guests. Beautifully crafted home on Lake Winnipesaukee with incredible views from a large wrap around screened porch and built-in outdoor kitchen! This amazing home will delight you with all the attention to detail! Sleeps up to 12 people. Top level condo at Village at Winnipesaukee near Weirs Beach. 2 bedroom sleeps four comfortably with two extras allowed on sleeper sofa, 2 full baths, and every room has air conditioning including the living room.